​With skyrocketing home prices and rising mortgage rates, many home buyers are frantically looking for ways to cut down on costs wherever they can. But in one area, it makes sense to ramp up spending, experts say—paying off old bills, debts, and credit cards. of $234,437, which is the average size of those loans, according to the report. Those savings are the price of a decent new car. Aside from monthly costs, it's a lot harder to get a loan with poor credit. “When you’re taking out a mortgage, you’re asking a lender to invest in you for a very long time," says Kali McFadden, senior research analyst at LendingTree. "If you have a higher credit score, it means statistically you’re more likely to pay your bill on time," she says. 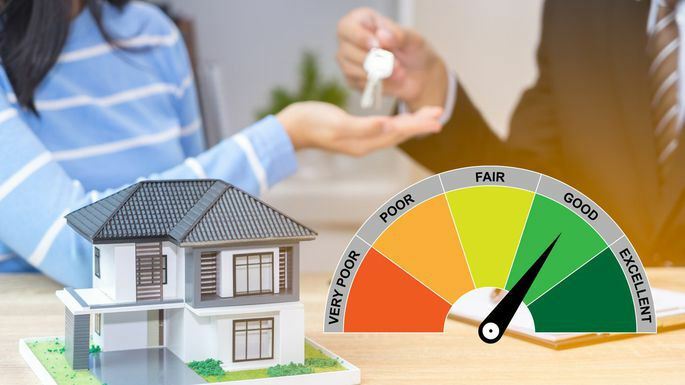 But "if you have a lower credit score, lenders are taking a bigger risk that you’re not going to pay your mortgage off or [you'll go into] foreclosure." That's not to say every lender will offer rates to those with sterling credit, says Don Frommeyer, a mortgage loan originator at Marine Bank in Indianapolis. But some will and others will knock off various charges, such as filing and overnight fees. In addition, many buyers will save substantially less over the life of their loan. That's because after five or six years, many are likely to refinance their loan or move into a new home requiring a new mortgage. "You always save money with a higher credit score," Frommeyer says. But "you can pay a fee for a lower credit score."